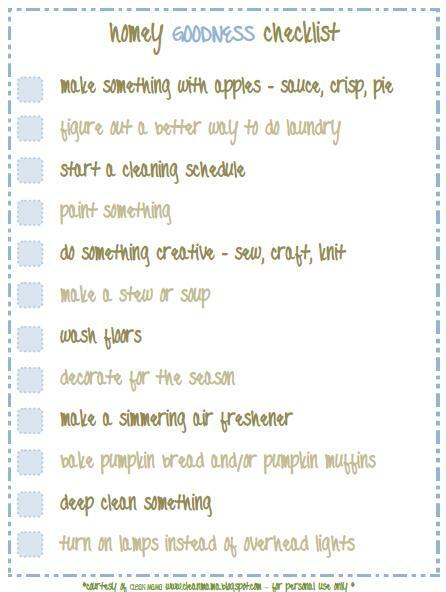 Each Wednesday in December, we will post Becky's Homey Goodness Checklist right here on Crazy Domestic and ask that you pick 1, 2 or several tasks from the list to complete in your home. Then, blog about your successes (and failures!) and link up your posts to our Homey Goodness link party. It will be an ongoing party for the entire month, so you can add as many links related to this challenge as you would like. Ready to start? I finished my first stamping project and linked it up - Naughty or Nice Tag. Thanks for much for hosting!